A year ago, The Undefeated walked into the intersection of sports, race and culture and called it home. In that year, we have explored that space and found stories about people ranging from reality TV stars to sports stars to President Barack Obama. 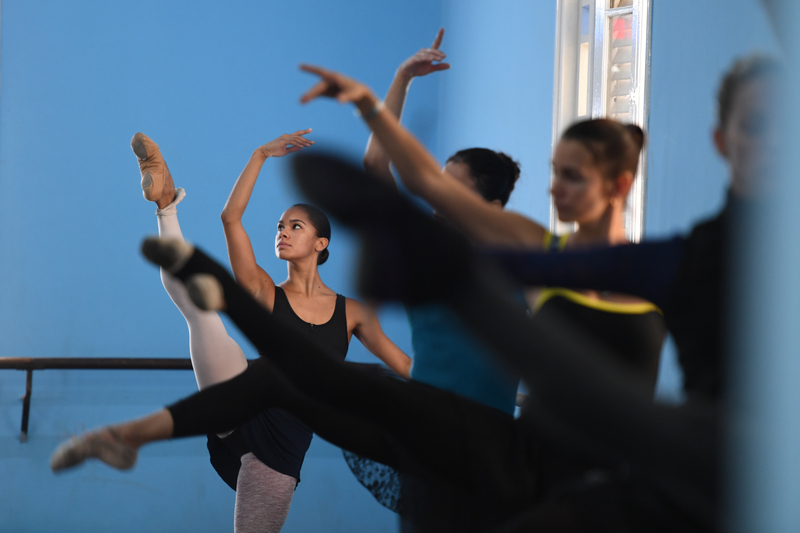 The great pictures with those stories build a narrative that words alone cannot provide. They not only bring you into the reality of another person but also create an emotional connection that you can only get by looking them in the eye. That is what a diverse group of photographers achieved over the last year in The Undefeated. They have shown you moments of joy and excitement. They have also shown you moments of anger and sorrow. Yet, above all, they have begun to show you what is life for African-Americans and what it truly means to be Undefeated. Jayen “JJ” Crawford practices ball on a kid-sized hoop at the family home on the edge of Lake Washington. Jamal Crawford, three-time NBA Sixth Man of the Year and one of the greatest role players in the gameÕs history, opens up about his life following a recent three-year, 42 million dollar contract to the Los Angeles Clippers. 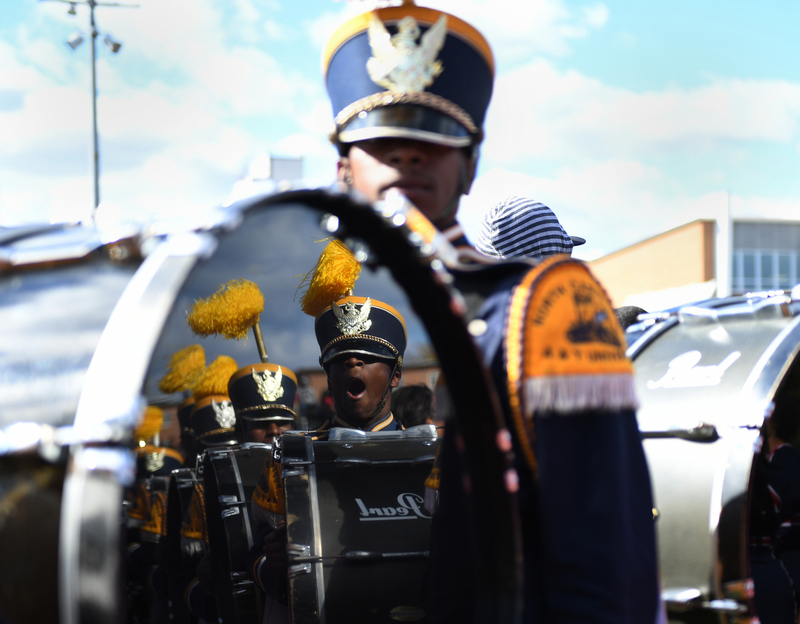 The North Carolina A&T Aggies band performs during the Howard homecoming game on Oct. 22, 2016, in Washington, D.C.
NBA draft prospect Marquese Chriss, left, poses for a portrait at the Grand Hyatt Hotel in New York. At right, Jaylen Brown is selected as the No. 3 pick during the 2016 NBA draft. Simone Biles poses for a portrait at her gym World Champions Centre in Spring, TX just outside of Houston Friday May 20, 2016. 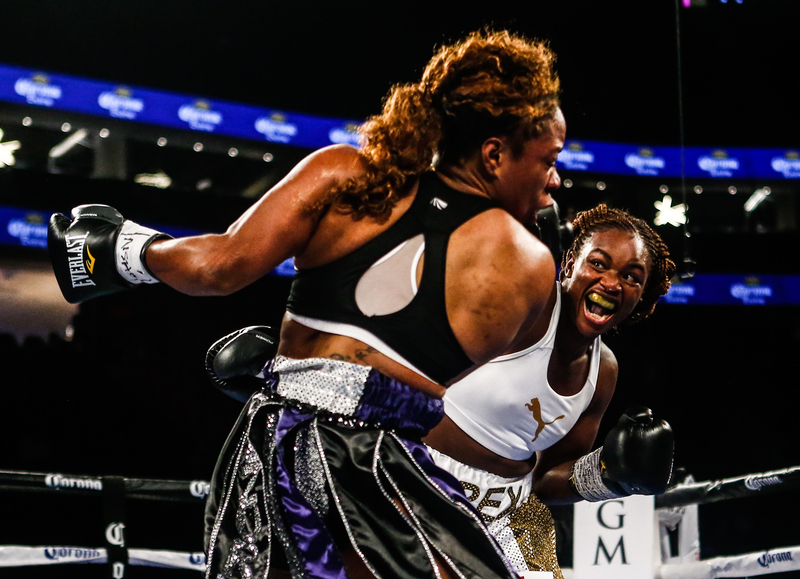 Claressa Shields, two-time Olympic gold medalist boxer, fights opponent Franchon Crews inside the ring in a four-round bout on November 19th at the T-Mobile Arena in Las Vegas. 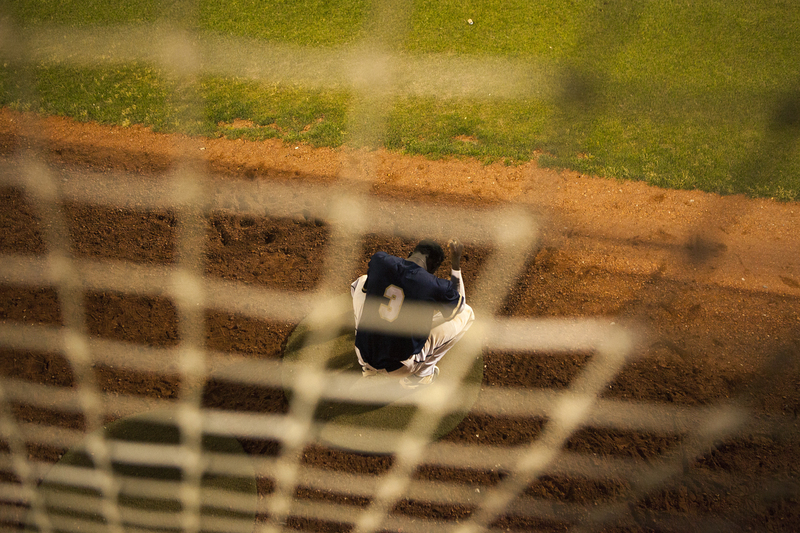 4 star basketball recruit Tremont Waters in New Haven, CT.
Charleston Southern University right fielder Chris Singleton is seen during a game with Winthrop University. Chris’ mother Sharonda Coleman-Singleton was one of the shooting victims at Emmanuel A.M.E. Church in Charleston, SC. Wendell Carter Jr is a 5-star recruit from Pace Academy and signed to playing at Duke in the fall. 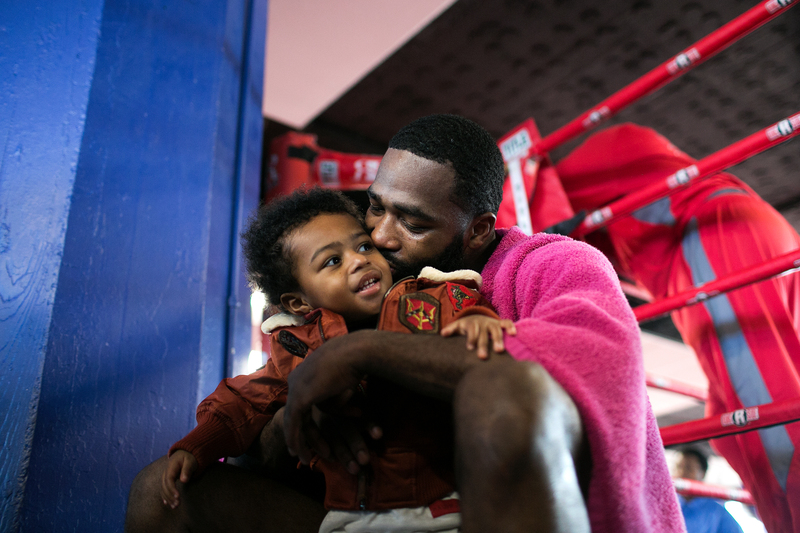 Adrien Broner holds his son on his second birthday after practicing at his gym, the Oasis Elite Boxing gym in Cincinnati, OH, on February 15, 2017. 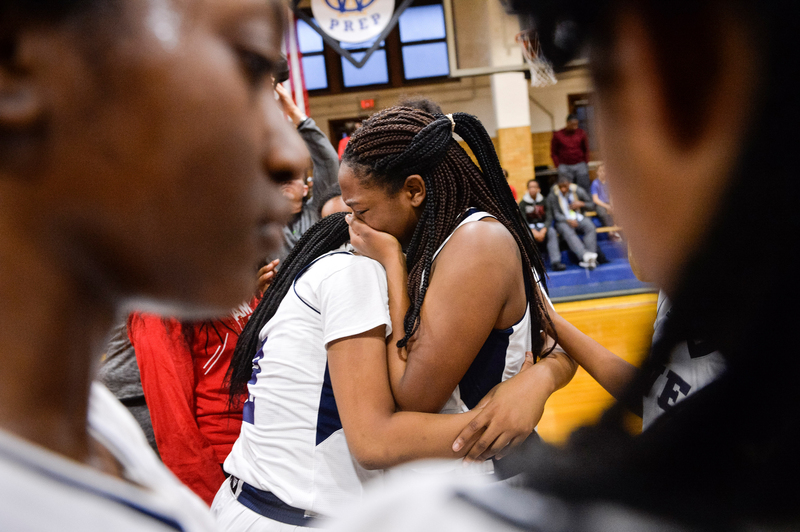 West Catholic girls basketball player Morgan Kennedy cries and is hugged by a teammate after a ceremony to honor Akyra Murray during the team’s first home game. Pulse nightclub shooting victim Akyra Murray graduated from West Catholic just days before she was killed, and led her team to two district championships and scored over 1,000 points during her career at the school. 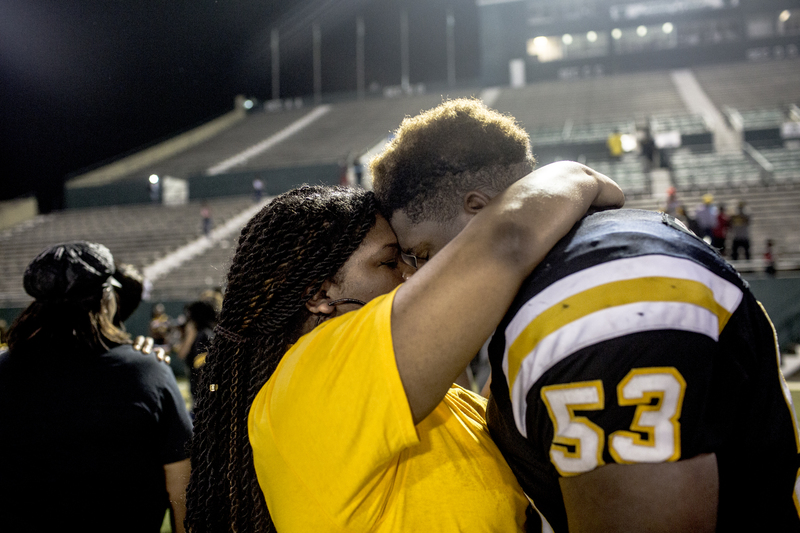 Keyaria Davis and her boyfriend, East Side junior Robert Shorter, embrace each other after his team’s victory over Cleveland High School in Cleveland, Mississippi. 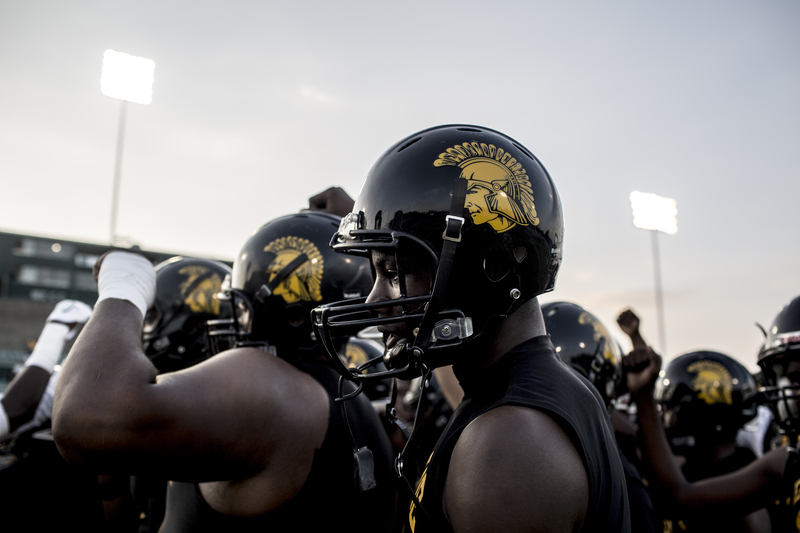 The East Side High School team huddles in Cleveland, Mississippi. 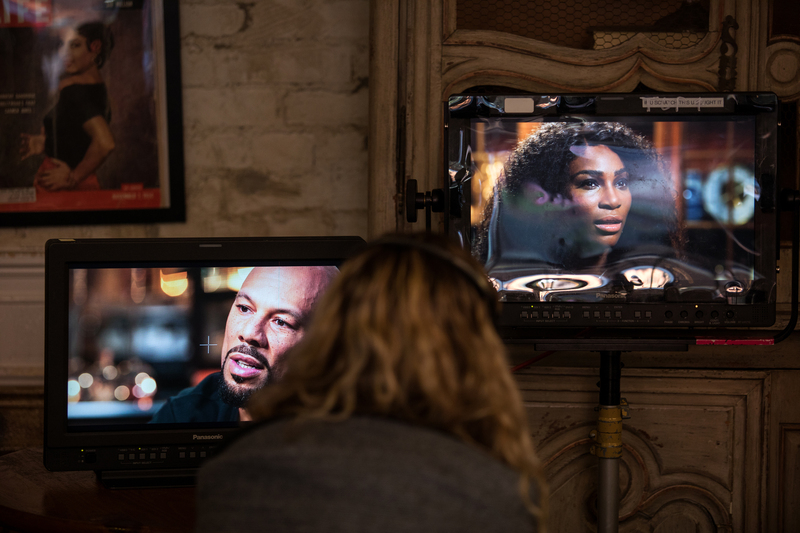 Common and Serena Williams sit down for an interview at Urban Vintage cafe in Clinton Hill Brooklyn, New York. 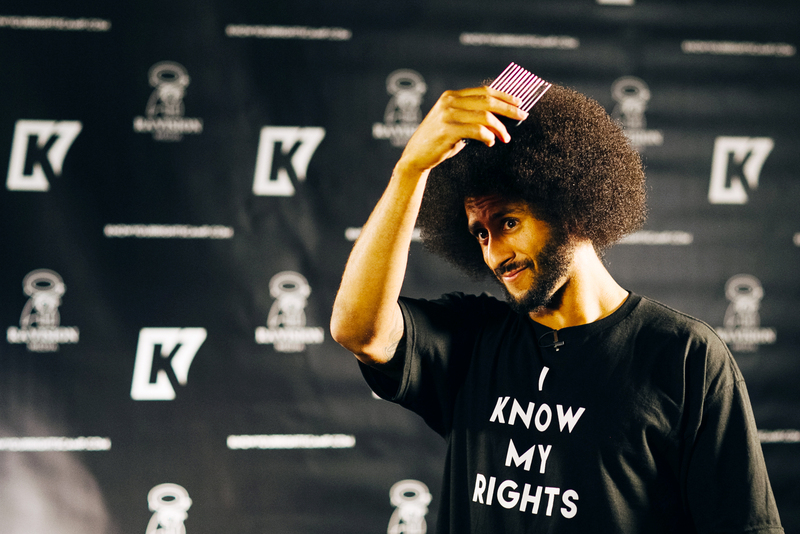 Colin Kaepernick picks his Afro before going on air with ESPN during his “Know Your Rights” event in Oakland, California. Deanna Whitlow of Northeast D.C. participates in the Women’s March in Washington, D.C. the day after Donald Trump’s Inauguration. The 6th Annual Harlem Derby on May 6, 2017 at the Red Rooster. 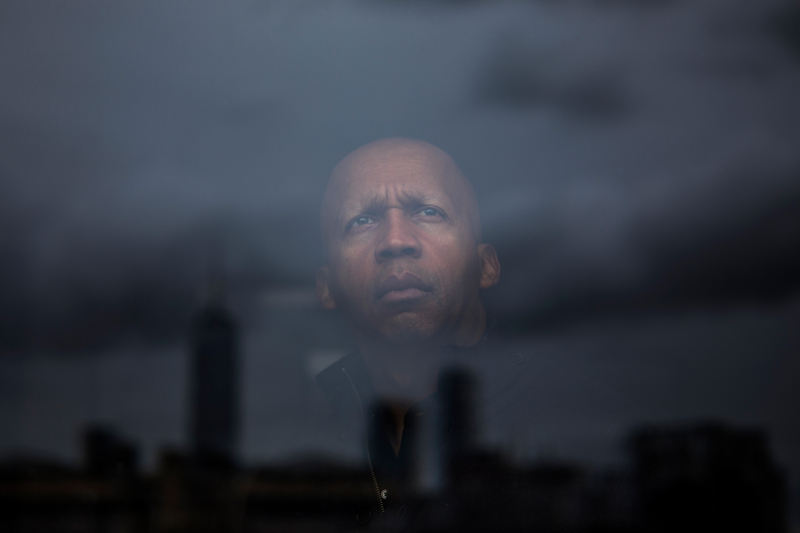 Bryan Stevenson, founder and executive director of the Equal Justice Initiative in Montgomery, Alabama, at NYU Law School’s Furman Hall in Manhattan, New York, on April 8. Stevenson is a public interest lawyer who has dedicated his career to helping the poor, the incarcerated and people on death row. 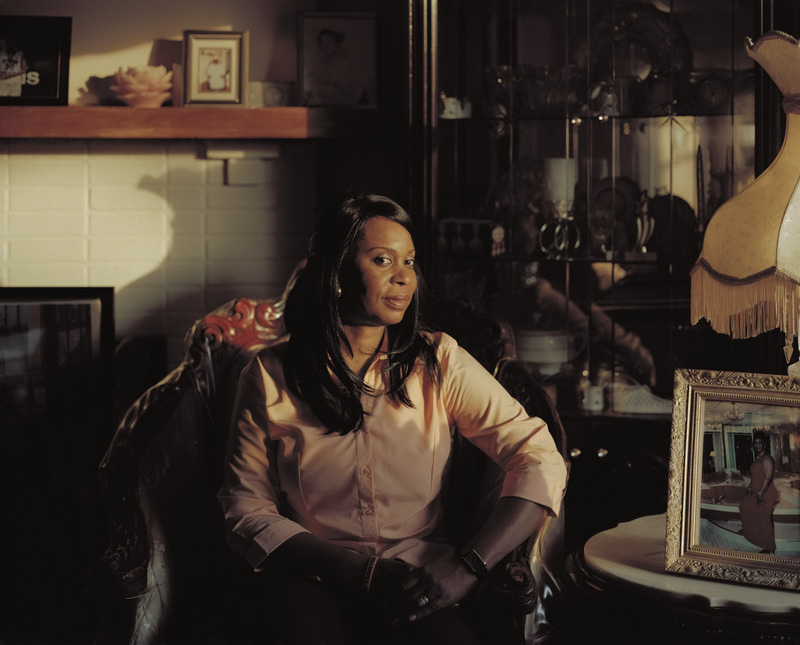 Nadine McKenzie, the mother of Shamoya McKenzie, a 13-year old star basketball player who was shot and killed last year near her home in Mount Vernon, New York, by a local man, David Hardy, who intended to shoot a gang member.